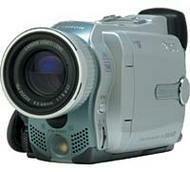 alaTest has collected and analyzed 84 reviews of Canon Optura 20 Mini DV Camcorder. The average rating for this product is 3.1/5, compared to an average rating of 4.0/5 for other Camcorders for all reviews. Opinions about the size and price are generally positive. The usability and image quality are also mentioned favorably, whereas the viewfinder and durability get less positive opinions. We analyzed user and expert ratings, product age and more factors. Compared to other Camcorders the Canon Optura 20 Mini DV Camcorder is awarded an overall alaScore™ of 73/100 = Good quality. alaTest has collected and analyzed 71 user reviews of Canon Optura 20 Mini DV Camcorder from Amazon.com. The average user rating for this product is 2.9/5, compared to an average user rating of 3.9/5 for other Camcorders on Amazon.com. People really like the battery and size. The usability and image quality are also appreciated, but the durability and reliability get critical comments. Opinions are divided on the price. 49% of the reviews on Amazon.com give this product a positive rating. A high-end camera for a mid-range price! Near-broadcast quality video, ease of use, accessory hot shoe, large LCD, excellent features. Bottom-loading tape, non-extendable view finder, larger than pocket-size. Canon Optura 20: Easy, Functional, and Fun! That I trusted Canon as a name and bought it. Motor noise ruins that great camera !